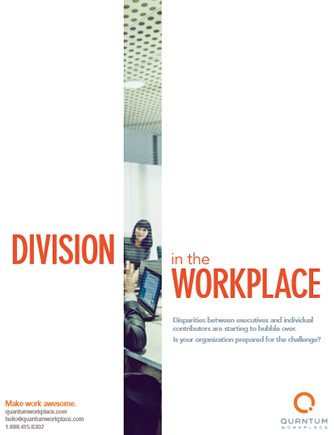 Disparities between Execs and Employees are growing - is your company ready? It’s a hot-button topic on the agenda of most companies, from mid-market businesses to Fortune 500s: What is the cause for the growing gap between executives and individual contributors? Download now for executive insights and HR next-steps!